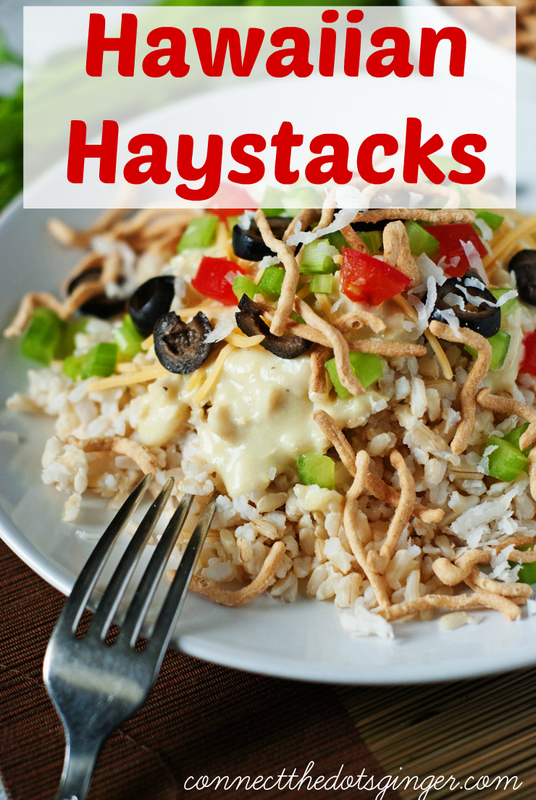 I was craving Hawaiian Haystacks like nobody's business. It hit me like a semi-truck and man, I HAD TO HAVE THEM! So I checked my pantry and used what I had! And I made my own homemade cream of chicken soup using homemade chicken stock. I knew EVERY SINGLE INGREDIENT that went into my meal. Now that is what I call CLEAN EATING! I love this recipe by Six Sisters Stuff, but I modified my version so it is just a little different than theirs. You can't go wrong with these. Just use whatever you want. I went heavy on the veggies though. I used a whole bell pepper just for me, throw on some mushrooms that I still had. YUM! Toppings- Whatever you have in your fridge or pantry! I didn't have any cream of chicken soup so I made my own by scratch! It was so easy. I went scouring on the internet and decided to do do the most basic and easiest one and it was super easy! Combine the chicken broth and ½ cup of the milk in a large saucepan. Bring to a low boil. In a small bowl, whisk the flour and seasonings into the remaining 1 cup milk until a smooth, thick mixture forms. Pour the flour and milk mixture into the saucepan with the broth mixture over low heat and stir continuously, whisking as the mixture simmers. Continue to simmer and stir/whisk until the mixture is smooth and thick, 5-10 minutes. The mixture will thicken a bit as it cools.